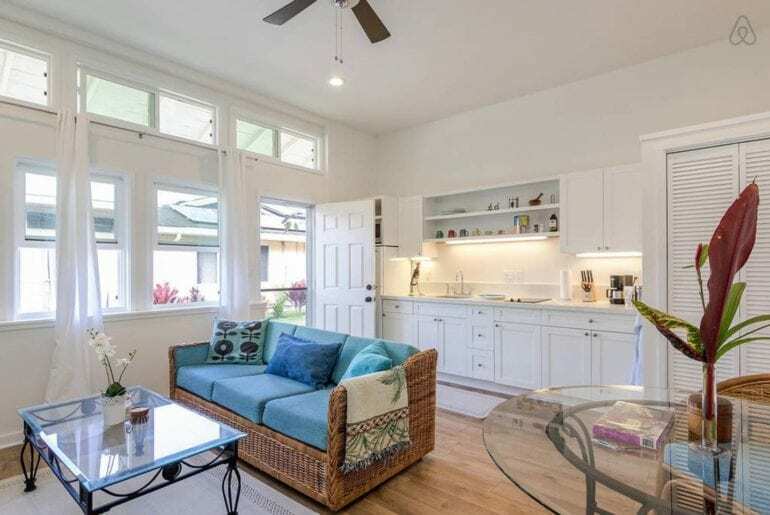 If you’re after an Airbnb in Honolulu you’re in for a real treat. 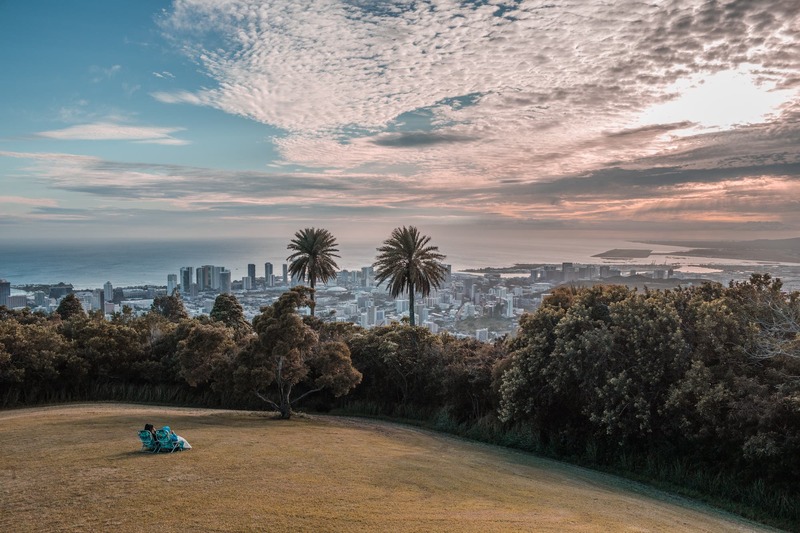 When rock band Green Day wrote their hit song ‘Welcome To Paradise’, there’s a good chance they were talking about Honolulu. Situated on the island of Oahu, Hawaii‘s capital offers everything a city lover needs: world-class shopping, nightlife, bars and restaurants. More of a culture vulture? Then you can brush up on Polynesian traditions, and check out Hawaiian royal heirlooms, at the Bishop Museum, or visit Pearl Harbor (the U.S. Navy base which was attacked by Japanese forces in 1941). Fancy something a little more active? 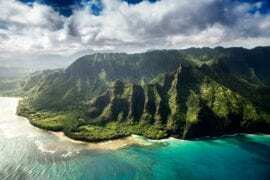 Then prepare to tackle a two-hour hike up Diamond Head, a long-dormant volcano (you’ll be rewarded at the top with spectacular views of Oahu). While Honolulu has plenty to offer, it’s the postcard-worthy beaches that attract most visitors (surfers and swimmers in particular). Laniakea Beach is the place to go for watching sea turtles, while Waimea Bay is famed for its massive waves. Kuhio Beach, meanwhile, hosts a group of hula dancers who perform a traditional show at sunset on Tuesdays, Thursdays and Saturdays. Swaying along is optional… Finally, those into popular culture should explore the amazing street art in Kakaako, or tour Hawaii’s Hollywood backlot, where you can visit famed locations from movies like ‘Godzilla’ and ’50 First Dates’. Can’t decide if you want to stay on the beach or in the city centre? Then this private apartment is perfectly in-between the two. The beautifully-decorated and meticulously-clean dwelling offers two beds (one queen, and one queen sleeper couch) and the use of a washer-dryer and full kitchenette. It’s also stocked with boogie boards, snorkel equipment and beach chairs for when you’re ready to hit the surf. It’s also a stone’s throw from Island Snow, an athletic store with a shaved ice machine (an island delicacy). President Obama was a frequent visitor during his Hawaii holidays, and they’ve since made a cup of shaved ice in his honour: The Presidential (featuring cherry, lime and melon syrup). Delicious! $164 per night. 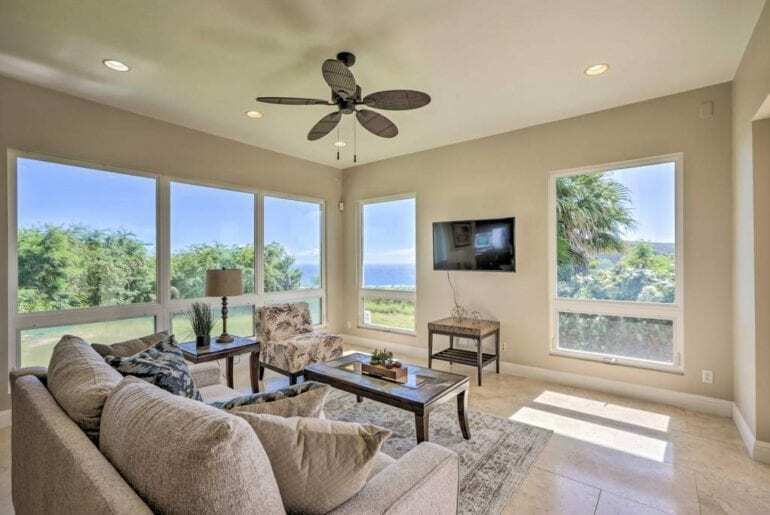 Fancy waking up to an ocean view? Then this beautiful Airbnb has got you covered. It’s situated between Kailua beach and Lanikai beach, so you’ll have no shortage of sand in your handbag by the end of the trip. It’s a comfortable three-bedroom home with all the amenities you could possibly need for your stay. After a busy day seeing the sights, you can put your feet up, pour yourself a glass of wine (or three), and watch the sun set over the sea. Delightful at $350 per night! Always wanted to live in a show home? Well now you can! 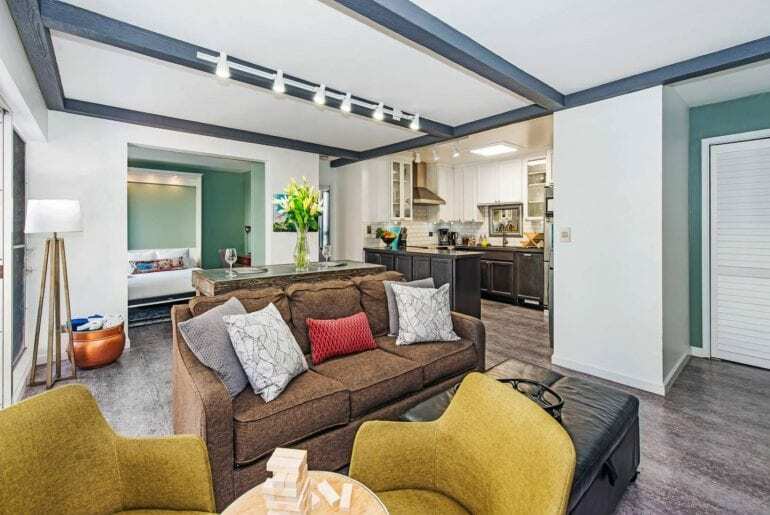 This Airbnb was featured in Home Remodeling Magazine. And if you can bear to leave, it’s situated just two minutes’ walk from Waikiki beach, where you can jump aboard a boozy catamaran. You’ll need a lay down after that, so take your pick of one of the four beds, all topped with ample pillows and comfy linens (we’re getting sleepy just thinking about it). If you miss home-cooked food when you’re travelling, the apartment is stuffed with high-end appliances and all the necessities (salt and pepper, olive oil, tea, sugar and coffee). This place is all about attention to detail. Can’t be bothered to cook? Then there are plenty of local bars and restaurants close by. $325 per night. Live the high life, quite literally, with this classy penthouse apartment, located in the Monarch Hotel building. 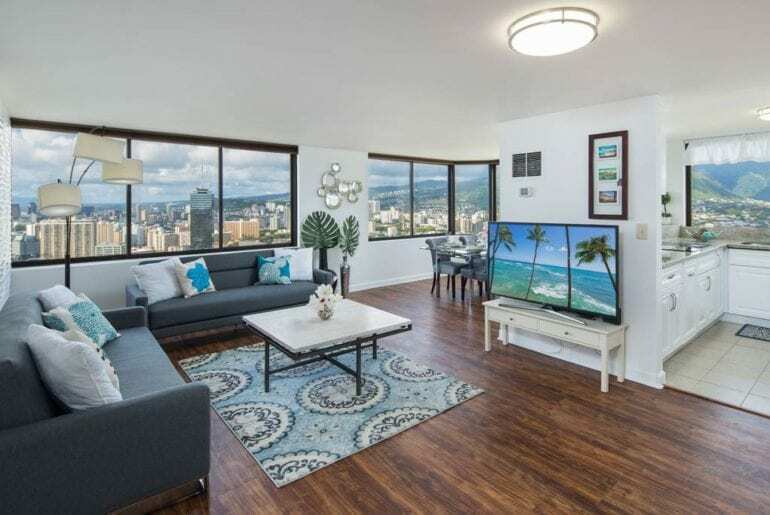 It features spectacular views of the Oahu Mountains, Honolulu City and the ocean, and offers use of the building’s rooftop pool, BBQ area, and gym (don’t forget to bring your trainers). 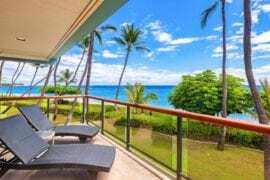 It’s also in walking distance to the beach, where every Friday night you can sit comfortably in the sand and watch a free fireworks show outside the Hilton Hawaiian Village. Who can say no to free fireworks? $200 per night ain’t bad for free fireworks. 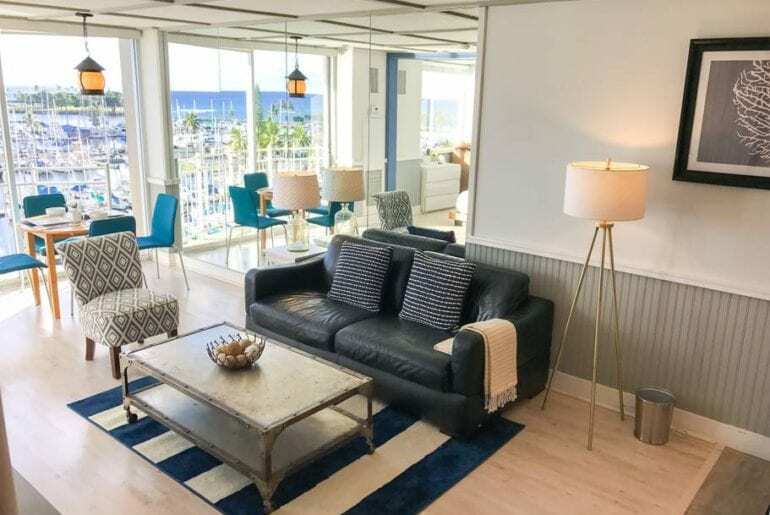 If you’re after something a little different, why not rent this one-bedroom apartment directly overlooking the Ilikai Marina? The flat is private and secluded, whilst also being just across the road from plenty of restaurants and buzzing nightlife. Don’t fancy venturing out? Then you’ve got full use of the building’s communal pool. 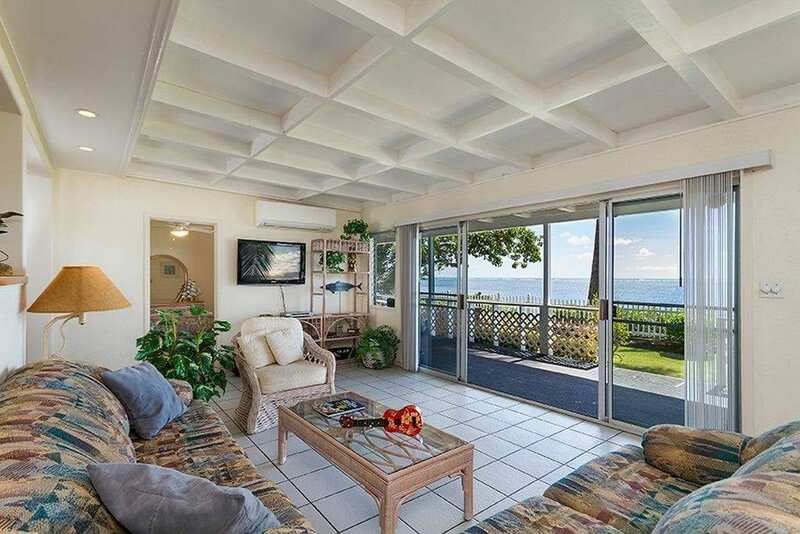 Or you could just sit in the living room and watch the boats come in and out… $225 per night. 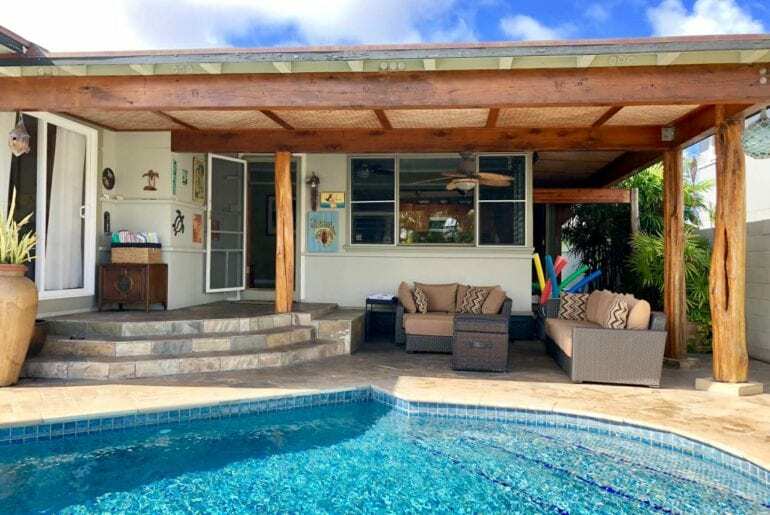 Really immerse yourself in the history of Honolulu by staying in this 1945 plantation home. 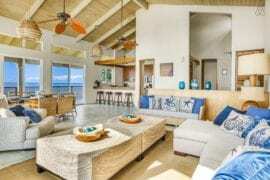 This large four-bedroom, two-bathroom residence can accommodate up to seven guests and boasts a private patio and pool area (complete with pool noodles to make floating around with a cocktail in hand that little bit easier). 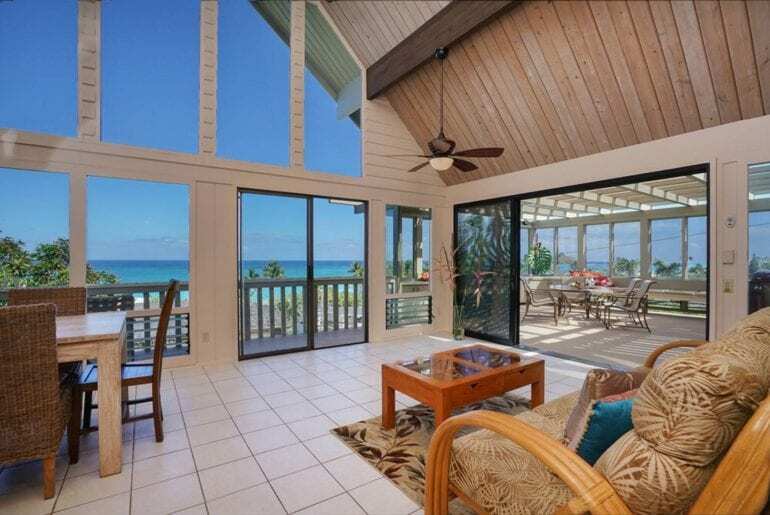 It’s within super-close proximity to Kailua beach, which offers 2.5 miles of white sand and the chance to spot sea turtles. You can also swim in the bay’s protected off-shore reef, go kayaking, windsurfing, kiteboarding, bodyboarding and surfing. Phew! 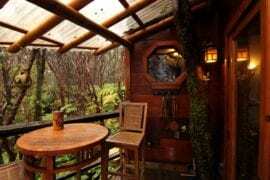 $400 per night. 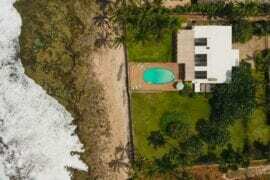 If you weren’t sold on “hot tub” alone this spacious home is situated ON the beach. Yeah, we thought that’d pique your interest… You can literally sit in your room and hear the peaceful sound of waves crashing along the shore day and night. Ahhh! This Airbnb property is an ex-Coast Guard house with four bedrooms and can accommodate up to 12 guests. 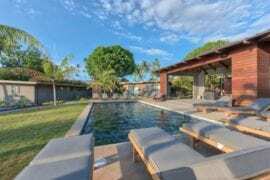 Laze around on the large outdoor area, private yard, or take a dip in the hot tub. And basically just pretend you’re George Clooney in 2011 movie ‘The Descendants’. 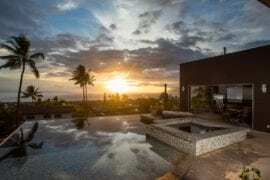 Picture this: you roll up to your five-bedroom, four-bathroom Honolulu Airbnb property, and you’re greeted by a driveway lined with palm trees. 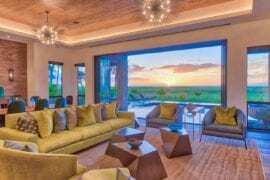 You step inside and gaze out the windows at excellent views of Sandy Beach and the Diamond Head crater. You wander around the 5,000 sq ft house and nab the master bedroom for yourself (with its king bed). Later you head into the private yoga studio for a stretch, before cosying up in the lounge to make full use of the flatscreen TV. Do you (and up to nine other people) like the sound of that? Then it’s all yours for $800 per night.